We have our own Design Department, Sales Department as well as a workshop covering around 10000 square meters floorage. Q2. What is your size9 We have size chart for you as a reference. Q3. What is your payment terms9 Alibaba trade assurance , T/T, Western Union, PayPal Q4. What is your shipping way9 DHL, TNT, FEDEX and so on. For big order and regular Customers, we give favorable discounts. Q5. Can you add our own logo on the products9 A : Yes. If you have this need, kindly send us your own logo you are welcome :-)! 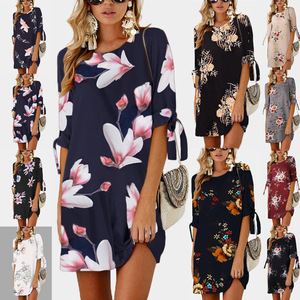 1 YRS Yiwu Hommland Imp And Exp Co., Ltd.
description of women summer dress product name new arrival fashion women fall floral long sleeve a-line tunic mini dress item no. new arrival fashion women fall floral long sleeve a-line tunic mini dress about us click to see more. 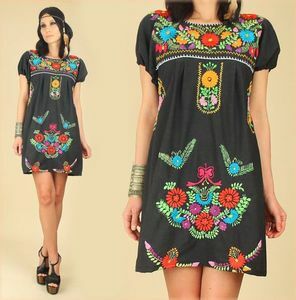 Alibaba.com offers 3,135 mini tunic dresses products. About 49% of these are casual dresses, 40% are plus size dress & skirts. A wide variety of mini tunic dresses options are available to you, such as breathable, anti-static, and anti-wrinkle. You can also choose from spandex / polyester, 100% cotton, and polyester / cotton. As well as from plain dyed, embroidered, and garment dyed. 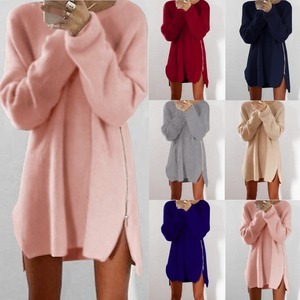 And whether mini tunic dresses is free samples, or paid samples. There are 3,135 mini tunic dresses suppliers, mainly located in Asia. The top supplying country is China (Mainland), which supply 100% of mini tunic dresses respectively. Mini tunic dresses products are most popular in North America, South America, and Central America. You can ensure product safety by selecting from certified suppliers, including 61 with Other, 8 with BSCI, and 5 with ISO9001 certification.